A group of Belmont art students spent five days in a masterclass earlier this month as they learned from artist experts Kelly Diehl and Belmont alumna Elizabeth Williams, owners of studio New Hat. 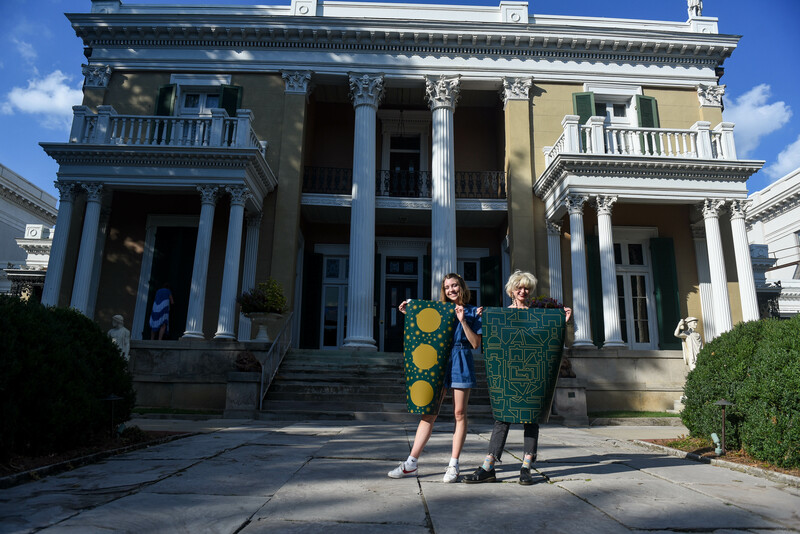 Invited by Assistant Professor of Art Christine Rogers, the New Hat duo spent time educating students on the process of creating wallpaper, the history of the facility and more as they worked between their meetings with the client, the Belmont Mansion. The winning design from the New Hat Masterclass will soon be on display in the Belmont Mansion. At the end of the week, Brown, his team and an additional professional served as judges while the students presented their creations — wallpaper which has been studied, dreamt up, drawn and physically created over the course of 4 days. “They had an incredibly difficult time choosing the winning design because they were all so thoughtful and well-presented,” Williams said. In the end, they went with Historico Minimo because of its playful use of color, reference to the checkerboard floor and timeless, central motif. The winning design will be printed locally, and the students will get to see the process. Williams hopes to install the paper within the Mansion and hold an opening exhibition to showcase all designs.